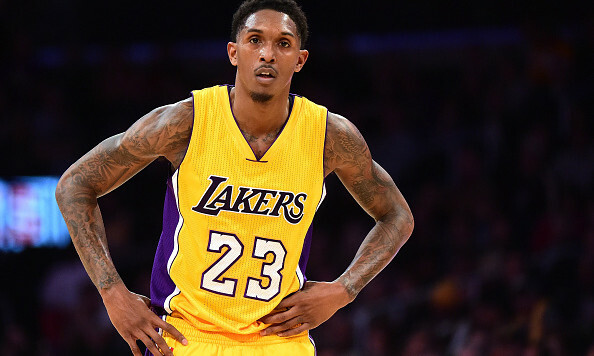 This week, has been an amazing week of basketball for Los Angeles Lakers shooting guard Lou Williams. Williams, who is the Lakers’ sixth man coming off the bench, has been tasked with the duty of shouldering the offensive workload for a team without Jose Caledron, D’Angelo Russell, and Nick Young. Without Russell, the Lakers are missing 16.1 points, 4.8 assists, and 3.4 rebounds per game. Not to mention, Russell is shooting 41.3 percent from the field and 37.2 from three-point range. Young, on the other hand, was having a great start to the season too, before suffering a right calf strain. With no Russell or Young, Williams has had to step his game up and has admirably done the job this week. Williams’ hot streak began last Saturday on the road against the Memphis Grizzlies. Against the Grizzlies, Williams scored 40 points, only four points away from a career-high of 44, which he set last season. He also shot 55 percent from the field and 50 percent from three-point range. Williams was dialed against Memphis as he attacked the basket consistently, getting to the free throw line 14 times and making all 14 shots. The veteran from South Gwinnett High School tried to get the Lakers the victory, but they would lose 103-100 in the waning moments of the game. Then a couple of days later, the Lakers took on the Utah Jazz at the Staples Center. Once again, Williams held up his end of the bargain, scoring 38 points on 27 field goal attempts, while knocking down 4-of-9 from three-point range. Also in this game, Williams had seven assists and six rebounds. Despite Williams going off once again, the Lakers lost another close game 107-101 and were now on a three-game losing streak. Williams outscored the Lakers’ starting lineup (38-34) and the Jazz bench (38-32). Fast forward to Friday night, where the Lakers were back at home after getting smacked by the Houston Rockets on Wednesday night. Sweet Lou continued on his scoring prowess and dropped 35 points on the Phoenix Suns in another losing effort. Williams was once again efficient, shooting 10-of-19 from the field and 6-of-12 from three-point range. He also continued to attack the basket as he was 9-of-11 from the free throw line. At certain points of the game, Williams tried to will the team to victory, but could not as the Lakers are just too banged up in the backcourt. It’s hard to replace the production of Russell and Young and expect to get victories on a consistent basis. However, it is encouraging to see Williams play this well as he is averaging 34.3 points, shooting 52.6 percent from the field and shooting 48.5 percent from distance over the last four games. Williams has never had a scoring stretch like this ever in his career, but it’s also a testament to how good of a sixth man, shooter, and scorer he has become. The Lakers are hoping to get Russell and Young back soon, but until then it will be up Williams to continue to shoulder the offensive workload for the Lake Show. Jovan is the founder and editor at Total Sports Live. He is also a 2014 graduate of La Salle University with a Bachelor of Arts in Communication.